"Taylor" was the mischief maker of her litter. She has enough attitude for 10 pups except in the showring which she hates with a passion. "Taylor" is vWD Carrier by Parentage. 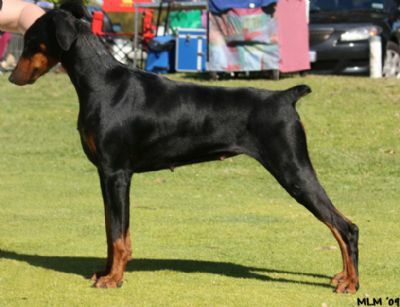 "Taylor" will be mated to Am/Can Ch Starlaine West Side Story (Imp USA) late 2012.